Our caring team takes a lot of pride in creating a relaxed and fun atmosphere for children. We have families too and know how stressful it can be for kids to see the dentist. 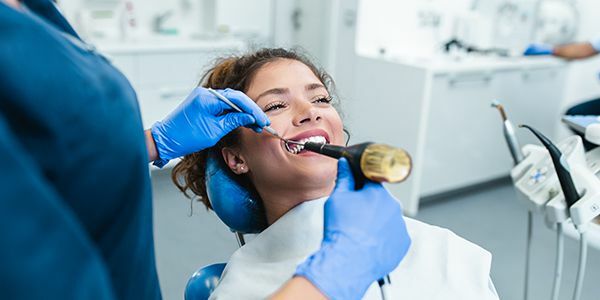 It’s important for us to not only make every visit as comfortable as possible, but to also minimize the chances of kids developing fears of seeing the dentist as they get older. Some kids begin seeing us as early as one-year-old! Providing dentistry for kids helps your child get the best start for developing good oral health habits that will last a lifetime. We work with parents to come up with plans to encourage their children to take care of their teeth. Every child is different which is why we develop an individualized approach. When should children have their first dentist visit? The Canadian Dental Association recommends that infants see the dentist within six months after the first tooth has grown or by one-year-old to examine the tooth’s health. Like adults, they can come back for a check up every six months. 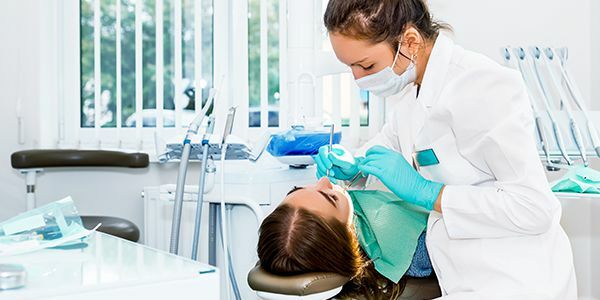 By taking your child to the dentist regularly from a young age, dentists will be able to fix the problems they find right away, find out if the cleaning you do at home is working and your child can learn that going to the dentist helps prevent problems. What are some cases that require dentistry for children? If an X-ray shows that there is decay between the teeth, the dentist may talk to you about fluoride. Once your child has permanent molars, it could be a good idea to seal them to protect them from cavities. A sealant is a kind of plastic that is put on the chewing surface of the molars to prevent food and germs from going inside the teeth. The dentist can determine if the crooked or crowded teeth may cause problems. In many cases, crooked teeth straighten out as the child grows and the rest of the teeth come in. But if they don’t straighten out, the child may have a problems biting, eating and cleaning teeth properly. Crooked teeth can also affect their appearance leading many of them to feel self-conscious in public. Even though baby teeth will stay in a child’s mouth until 12 years old, broken teeth or infected teeth can hurt the child’s health. So in some cases, it is better for the dentist to remove the decay and “fill” the hole with metal, plastic or other material. At Downsview Dental we love kids! We pride ourselves on creating a relaxed and fun environment for each member of your family. Our gentle and caring hygienists immediately put children at ease so they can avoid developing the fear of the dentist that plagues many adults. Give your child the best start for healthy teeth and gums that last a lifetime. Children can begin regular visits to the dentist as early as at one-year-old. At an appointment one of our caring team members will perform a thorough cleaning and ensure that everything is developing as it should be. We even try to accommodate multiple family members at the same time for your convenience. Call us today at 416-742-9804 to book an appointment for your little one, and maybe one for yourself as well! Let’s get you the glowing grin you’ve always wanted. Take the first step today and make an appointment with our experienced team! If you have recently visited Downsview Dental, kindly leave us a review and write a few lines describing your experince.